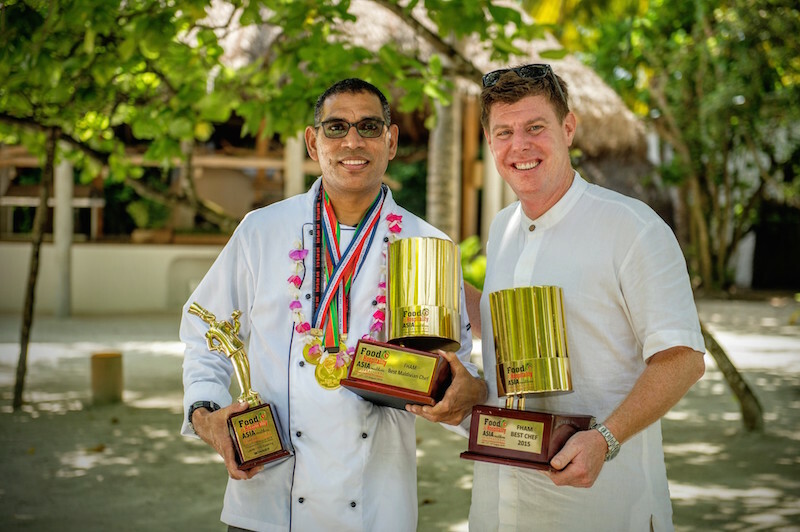 Chef Sobah, Soneva Fushi’s Chef de Cuisine at Mihiree Mithaa restaurant, has taken top honours at an International Culinary Event by winning the ‘Best Chef in the Maldives’ Award. The talented Chef also scooped numerous other awards at the event, including the Best Chef in the Maldives (Maldivian category); Best Chef (International category); Hot cooking Lamb Gold Medal; Hot Cooking Beef Gold Medal; and Hot Cooking Seafood Bronze Medal; among others. The annual Food & Hospitality Asia Maldives (FHAM) – International Culinary Challenge & Exhibition was held in August 2015 and attracted more than 450 Chefs from across the Maldives. Chef Sobah, who has worked at Soneva Fushi since 2011, currently cooks at Mihiree Mithaa, Soneva Fushi’s open air beachfront restaurant that offers guests a wide selection of buffet dining options. Soon, Chef Sobah will head the new dining outlet at Soneva Fushi, aptly named ‘Sobah’s’; a fine-dining Maldivian restaurant set to open in the next few months. Built on the uninhabited island of Mendhoo, just 15 minutes by boat from Soneva Fushi, Sobah’s will serve traditional Maldivian cuisine with modern twists using traditional cooking methods. Sobah’s beach restaurant will seat 18 for dinner and will be open six days per week, subject to a minimum number of eight diners and weather conditions. Chef Sobah learnt to cook at the Faculty of Hospitality in the Maldives. He specializes in preparing Maldivian, Sri Lankan, Vietnamese and Thai food using skills he learnt while living and working in those countries. He is famed for his Maldivian cuisine, which uses healthy, natural and fresh ingredients to produce clean flavours.